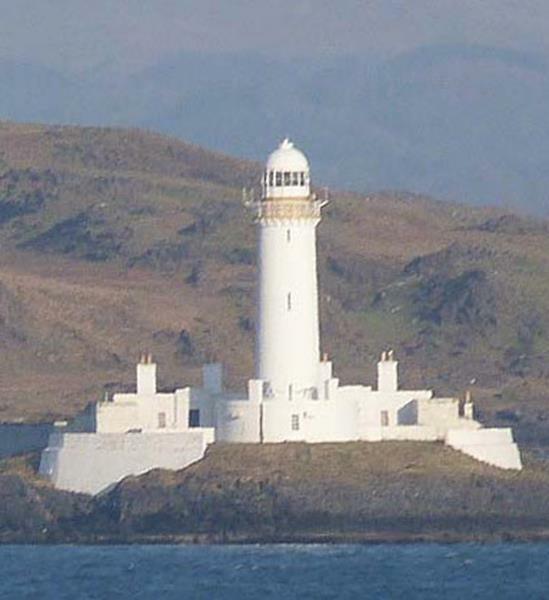 This major light at the entrance to the Sound of Mull is not on Lismore as the name suggests, but on Eilean Musdile separated from the main island by a small channel. It was designed by Robert Stevenson and built by James Smith of Inverness. The Commissioners of the Northern Lighthouse Board had purchased the small island for £500 in 1830. The lighthouse, a 26-metre tower with its lantern on top, took about three years to build at a cost of £4,250. The first light, established in 1833, was a fixed white light, but this was soon changed to a flashing one. 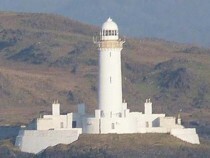 The tower is painted white and stands out from the background, so that by day and night it guides shipping in the Sound of Mull and the Firth of Lorne. Lismore was one of the few manned lighthouses in the area until automated in 1965.